We recognise that slavery in all of its forms, including servitude, forced or compulsory labour and human trafficking (Modern Slavery) continues to be a serious issue and we are fully supportive of efforts to eradicate these abhorrent crimes. This statement sets out the steps that we have taken to eliminate the risk of Modern Slavery taking place in our organisation and in our supply chain. 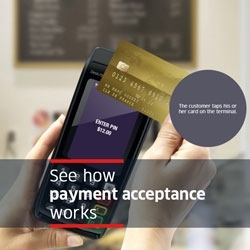 Ingenico Group SA, a French publicly listed company, is the parent of the Ingenico group of companies (“Ingenico Group”) including the main trading entity in the UK, Ingenico (UK) Limited (“Ingenico UK”). Ingenico Group is the global leader in seamless payment services, providing secure payment solutions across all sales channels. The Group is organised across two customer-centric business units – the Retail Business Unit and the Banks and Acquirers Business Unit. Ingenico Group employs over 8,000 people located in 41 countries. It has commercial operations in 170 countries, with sales revenues in 2017 of €2, 510m. As a global organisation, acting with integrity in all of our business activities is of paramount importance. We strive to maintain the highest ethical standards in all engagements with our various stakeholders. In particular we are committed to working only with suppliers and service providers who conduct business in a socially responsible manner. The most significant supply chain operations relate to the manufacturing of payment terminals, which is an activity that is almost exclusively outsourced. This process is managed centrally by Ingenico Group and the payment terminals are then distributed to regional entities including Ingenico UK. The assembly of the payment terminals is carried out by approved subcontractors who have been thoroughly evaluated and are regularly audited. Upstream from this assembly chain, Ingenico Group works with a community of suppliers to produce its various components. These product manufacturing and assembly activities are predominantly carried out in Hong Kong, China, Taiwan, Vietnam, Thailand, Malaysia and Brazil. Ingenico Group’s adherence to ethical working practices is demonstrated by its participation in the UN Global Compact. Each year, as a signatory to the Global Compact Ingenico Group reports on the progress it has made in respecting and promoting the Global Compact’s universal principles, including in relation to human rights and international labour standards. In 2017, the Group decided to publish its report at GC Advanced level, which corresponds to a higher standard of social responsibility. Ingenico Group launched the review of its Code of Ethics and Business Conduct in 2017, particularly in connection with the UK Modern Slavery Act and other recent regulations. The Code of Ethics and Business Conduct is accessible in multiple languages to ensure that the Group’s ethical culture is fully understood and adopted by all parts of the business. The global Human Resources network also ensures that ethical working standards are consistently applied across the business. This is supported by the Internal Control Manual and internal auditors verify compliance and ensure there are no abnormal situations, such as employees not receiving minimum wages or more people working on sites than there should be. Additionally, Ingenico Group operates a whistle-blowing mechanism, which can be used by any employee or external stakeholder to report any breach or potential breach of the Code of Ethics and Business Conduct. Our rigorous approach to maintaining ethical business practices is further underlined by the existence of a dedicated Corporate Social Responsibility (CSR) function, who are responsible for managing the Group’s CSR activities. The CSR policy includes specific commitments regarding labour rights and social justice standards. Suppliers are required to comply with our Code of Ethics and Business Conduct. These standards are enforced by contractual mechanisms and should the supplier fail to comply, Ingenico will exercise its rights, including termination of the supplier contractual relationship. Ingenico Group’s two main assembly subcontractors have signed the Responsible Business Alliance (RBA) Code of Conduct. This commits participants to uphold the human rights of workers and to treat them with dignity and respect as understood by the international community. These standards apply to all workers including temporary, migrant, student, contract, direct employees, and any other type of worker. Additionally, component suppliers are requested to sign a CSR Supplier Agreement to commit them to socially responsible practices including the prevention of involuntary labour and human trafficking, and cascade the Group’s conditions down their own supply chains. Any failure to comply with the forced labour and anti-slavery prohibitions in a CSR Supplier Agreement will allow Ingenico to terminate its relationship with that supplier. Dedicated teams from Ingenico Group are based at the main assembly sites to continuously monitor production activity. In 2017, more than 20 audits were carried out on these sites. For electronic component suppliers, Ingenico Group ensures close supervision and performs regular audits, including evaluation of CSR practices. Audits are also conducted when considering new suppliers or when initiating new projects. In relation to the 108 components suppliers that were active in 2017, 64 quality audits were carried out and 90% had either agreed to comply with the CSR agreement or demonstrated RBA membership. Specific actions (which may include onsite audits) are taken with suppliers who are not RBA members and have not signed a CSR agreement, to understand the blocking points (which may not be related to Modern Slavery) and to analyse and address the associated risks. A detailed CSR assessment questionnaire is used in conjunction with audits to evaluate the supplier’s policies and controls relating to CSR issues. A particular assessment point relates to whether the supplier has a written policy, endorsed by its senior management, covering freely chosen employment, avoidance of child labour, working hours, wages and benefits and humane treatment of all employees. This assessment questionnaire will be sent to all critical suppliers in 2018 and forms an integral part of Ingenico’s CSR control process. Our supply chain is periodically assessed on conflict minerals presence to ensure that the minerals that go into our terminal components do not benefit armed groups that violate human rights. In 2017, this assessment was carried out in close collaboration with one of Ingenico Group’s assembly subcontractors using the reporting tool provided by the RMI (Responsible Minerals Initiative) and information was obtained from 99% of suppliers of the components used in Ingenico terminals. Although we consider that the main Modern Slavery risks relate to component manufacturing activities, we are aware of the need to remain vigilant in all supply chain operations. Procurement not related to the core manufacturing products (e.g. logistics, courier services, waste management etc.) is controlled at a local business level. Prior to use of any significant new suppliers by Ingenico UK a due diligence questionnaire, including an ethics section and a question on employment of child or forced labour, must be satisfactorily completed. Ingenico UK also conducted onsite audits in 2017 for 4 of the 6 key suppliers to verify compliance with our requirements, including legal and ethical standards. To ensure a high level of understanding of the risks of Modern Slavery in our business, we provide training to our staff. Since 2015, a comprehensive training course on our Code of Ethics and Business Conduct has been rolled out across all business units and made accessible online via the Ingenico University platform. This training includes a section on forced labour, coercive practices, unpaid work and wages below legal standards and emphasis that these practices would not be tolerated. It also provides details on how to confidentially report any non-compliance and clarifies that those reporting issues would be fully protected. In 2017, an overview of the Modern Slavery Act was provided to the global legal and compliance community, to help raise awareness of Modern Slavery issues among key stakeholders across Ingenico Group. An awareness session was also provided to the Ingenico UK management board. Our commitment to preventing slavery and human trafficking is demonstrated by ensuring the continuous review and improvement of our systems and processes. This includes reviewing our existing controls, policies and procedures from a Modern Slavery perspective and considering what changes may be appropriate. The integration of new social criteria into our suppliers’ audit processes including indicators related to Modern Slavery, such as maximum number of weekly working hours, minimum age of the employees and respect of minimum wages, all as accounted for under regional law and regulations applicable to each local Ingenico entity. We will report on progress made in future statements. This statement is made on behalf of Ingenico Group SA and its relevant subsidiaries, including Ingenico (UK) Limited, pursuant to section 54(1) of the Modern Slavery Act 2015 and constitutes our Group's slavery and human trafficking statement for the financial year ending 31 December 2017.